Aside from her weekly classes, Tjarda has been teaching workshops and intensives throughout Europe and the USA. She is also available for more specified training like coaching for choreography or technique and private classes. Tjarda is a Certified Movement Analyst in the Laban/Bartenieff Movement System and uses this as a clear framework for teaching form and quality of movement. Please check below if her experience can benefit either you or your group. If you feel you need extra attention before an important performance or there are specific recurring troubles that can be solved with some extra one on one attention, a private class with Tjarda may be exactly what you need to bring out the best. When a work-in-progress gets stuck, whether solo or in a group, it can be helpful to get outside experience. Or even when a choreography is fully formed, some tweaking with Tjarda might be just what you need to give the performance that magical edge. A little extra inspiration, an outside pair of impartial eyes or just some plain old reassurance will do wonders on stage! Are you getting the best out of yourself or your group? Working alone or with the same people all the time may create blind spots to all the possibilities both out there and within. 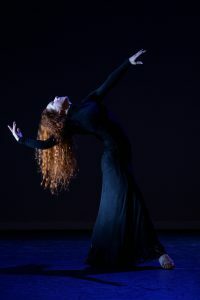 With useful feedback on your style, posture and technique, Tjarda can help you find wider physical possibilities, a deeper consciousness of your body, a clearer picture of the dynamics within your group of individual dancers. Get in touch and see what Tjarda can do for you in terms of progress, development and strengthening presentation in a close and personal setting. With her eye for possibilities a little can go a very long way.